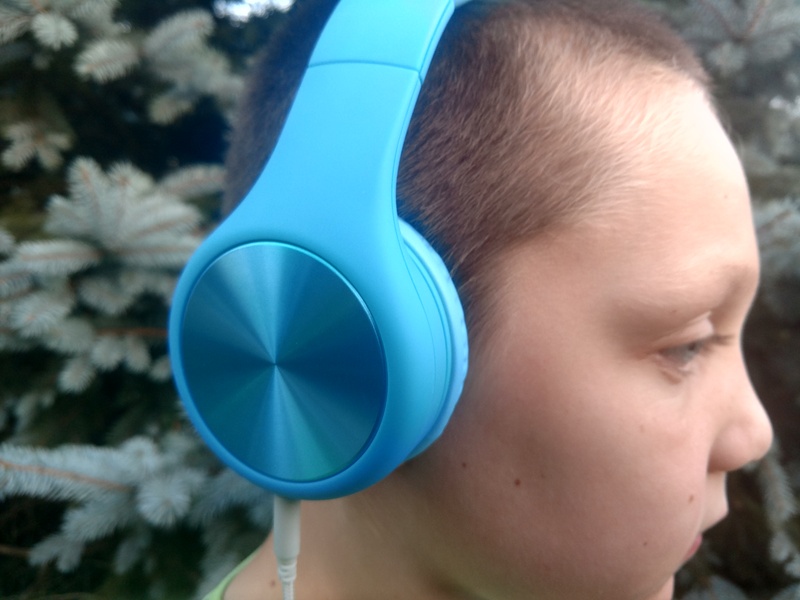 You are here: Home / Reviews / LilGadgets Headphones Are Perfect For School and Home + Sharing! With back to school season upon us (where did the summer go?! ), you probably have a list of items to get for your child. If your list is like my daughter’s and my boyfriend’s son’s, you probably need a pair of headphones. 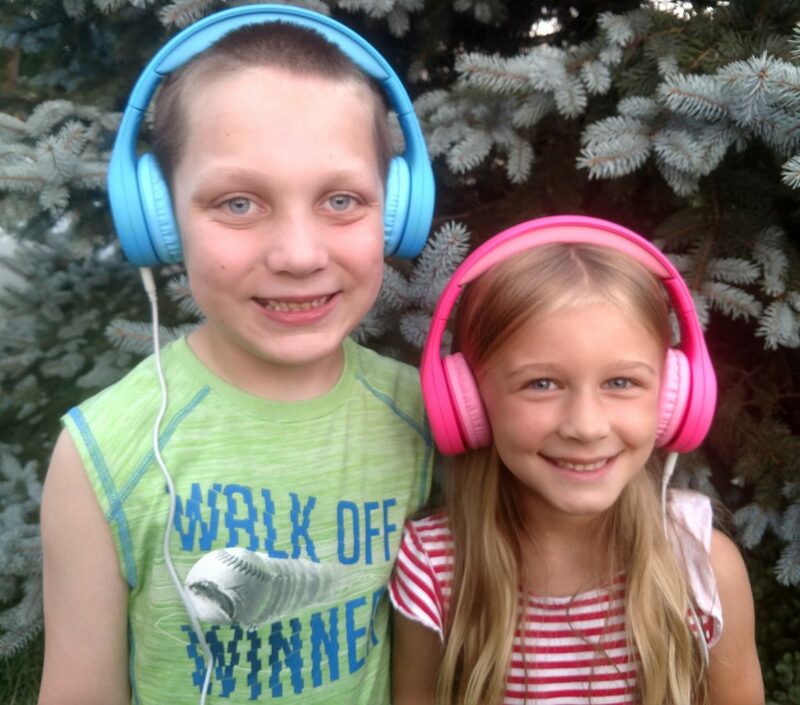 LilGadgets has great options for headphones – they’re great for both school and home, too! 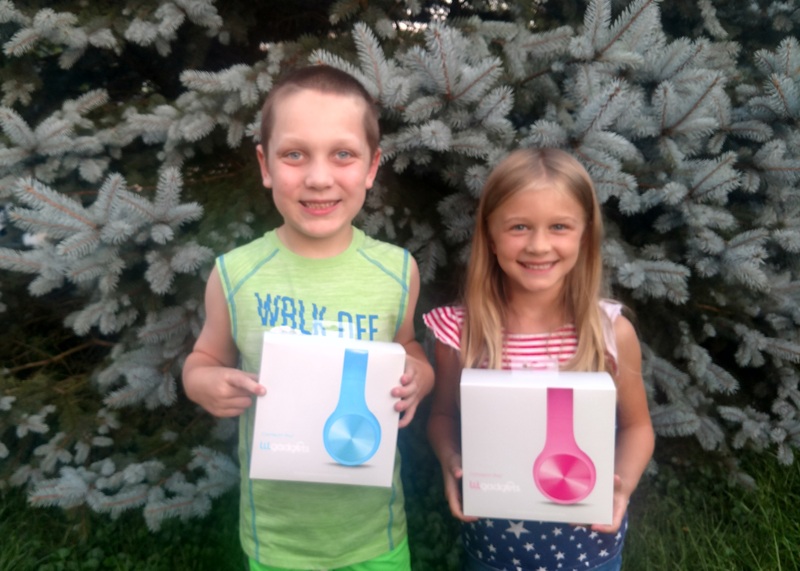 Riley and Lucas both received the Connect+ style from LilGadgets. Available in 5 fun colors – purple, pink, green, black and blue – they are fun and stylish with many great features that your child and you will love. SharePort – Now your children can use the “buddy system” and watch and listen to the same device using this handy feature. Foldable – When not in use, the Connect+ headphones can be folded and put in the included travel pouch. Noise Reduction – Using passive noise reduction allows reduced outside noise so your child doesn’t have to turn up the volume to the max. I know a big concern of mine is listening to music and videos too high, and this isn’t a worry any longer thanks to this feature. Comfort – I know Riley has had headphones that are uncomfortable. LilGadgets have SoftTouch material that makes them comfortable but also durable so that they will last over time. There is also industrial-grade steel in them to provide high wear and fatigue resistance. Whether you are needing a pair of headphones for school or for home, LilGadgets Connect+ headphones are the perfect mix of stylish and comfort at an affordable price. I personally think one of the best features, especially having two kids in the same house at times who like to watch videos together is the SharePort. Now the parents don’t have to listen to the video if we don’t want to and there’s no fighting over headphones. It’s a win-win! Don’t miss their Connect+ Style, Connect+ Pro, Untangled Pro, and BestBuds styles as well!